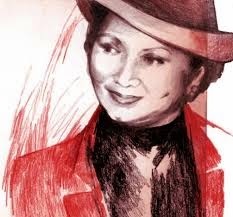 She was known as La Madrina, the Black Widow, and the Queen of Narco-trafficking, but her name was Griselda Blanco. She was born in Columbia and grew up in the infamous city of Medellin, once considered the most violent city in the world. The city’s name is most recognizable as the home of Pablo Escobar, the leader of the Medellin Drug Cartel. One former lover claimed that Griselda was only eleven years old when she kidnapped a child from a wealthy neighborhood not far from her own home and attempted to ransom the child. She was a pickpocket, a prostitute and a drug dealer. Though she was openly bi-sexual, at age twenty she married her first husband and bore three sons. Blanco brought her violence and drug-running to the U.S. in the mid 1970’s. She operated in New York, California, and Miami. Griselda had a fourth son by a Columbian lover while in Miami and named him Michael Corleone Blanco. By 2012, he was under house arrest for distribution of cocaine and his three half-brothers had been assassinated in drug related wars. 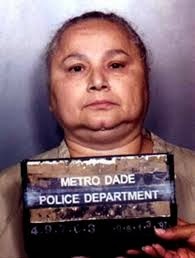 Griselda Blanco was a violent woman with an explosive temper. She had her lover, the father of Michael, murdered when he argued with her about who would raise their son. While in Miami, one of her enforcers, Chucho Castro, fell into disfavor with Griselda because of a dispute with her son during which he embarrassed the son by kicking him in the rear-end. She ordered that Chucho be murdered, but the assassins fired on Castro while he was driving with a two-year old son, Johnny Castro, missing the target and murdering the child. One of the assassins, who later testified against Blanco, said at first she was angry that they had failed to kill the elder Castro, but upon learning they had killed the two-year old son, she was happy. She declared that she was now even with Chucho Castro. Charged with only three murders, law enforcement estimated that she was responsible for as many as forty. She is sometimes credited as the person who invented the motorcycle drive-by shooting in the late ‘70’s as she used such murders to strike fear into her competitors and to control her cocaine empire in Florida. After a plea agreement on the murder charges, Griselda spent time in U.S. prisons before being deported back to Columbia. She had hundreds of enemies, some legitimate citizens such as law enforcement and others rival criminals who knew that she was an unrepentant murderer who would kill a person for nothing more than an insult. At the age of sixty-nine, as she walked out of a meat market in her hometown of Medellin with her pregnant daughter-in-law, she was gunned down. A motorcycle riding assassin, no doubt exacting revenge for one of her many exhibits of bad behavior, double-cross, or thievery, accomplished the task by shooting her twice in the head. And so ended the life of one of the most despicable women in world history. WAR HERO, PSYCHOPATHIC MOBSTER, OR BOTH? ATTACKING COPS IS NOTHING NEW, EVEN ON CHRISTMAS DAY! Ah, such a fitting end for such a bad girl.